The Magical Treatise of Solomon, or Hygromanteia is the ultimate grimoireâthe absolute foundation of ceremonial magic. The true source of the Key of Solomon, it is arguably the most significant magical text in the world. For the first time ever, this extraordinary work has been translated from the original Greek into English, allowing magic scholars worldwide to finally access its treasures. 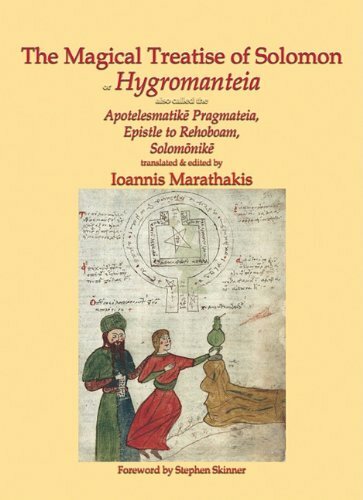 The translator, Ioannis Marathakis, is a native born Greek academic with an extensive knowledge of ceremonial magic. Unlike the abridged Latin translation, this groundbreaking work is the complete text, now arranged in its proper order. About: The Magical Treatise of Solomon, or Hygromanteia is the ultimate grimoire―the absolute foundation of ceremonial magic.